The first results from an in-depth study on the suspected interstellar object that flew into our Solar System last month have been released, and they are extremely interesting!! The interstellar object is known as 1I/2017 U1 (`Oumuamua). It is a Hawaiian name that means “reach out for” (‘ou) and “first, in advance of” (muamua). 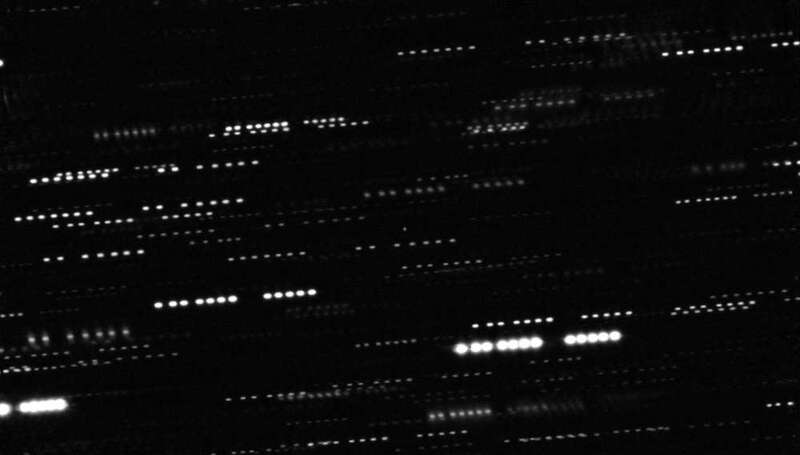 The letter “I” denotes that this is our first ever recorded interstellar visitor, confirmed by this study. As it was published in Nature, the results show that the object is of an abnormal elongated shape, measuring 10 times as long as it is wide. Its length is thought to be at least 400 meters (1,300 feet) long. It spins on its axis once every 7.3 hours, with a large variation in brightness revealing its odd shape. The observations also confirmed that this object – because it had no visible coma, it is now certain that it was an asteroid and not a comet – was dark and reddish in color. This comes as a result of cosmic rays blasting it for the millions of years it has been traveling through space, irradiating its surface. 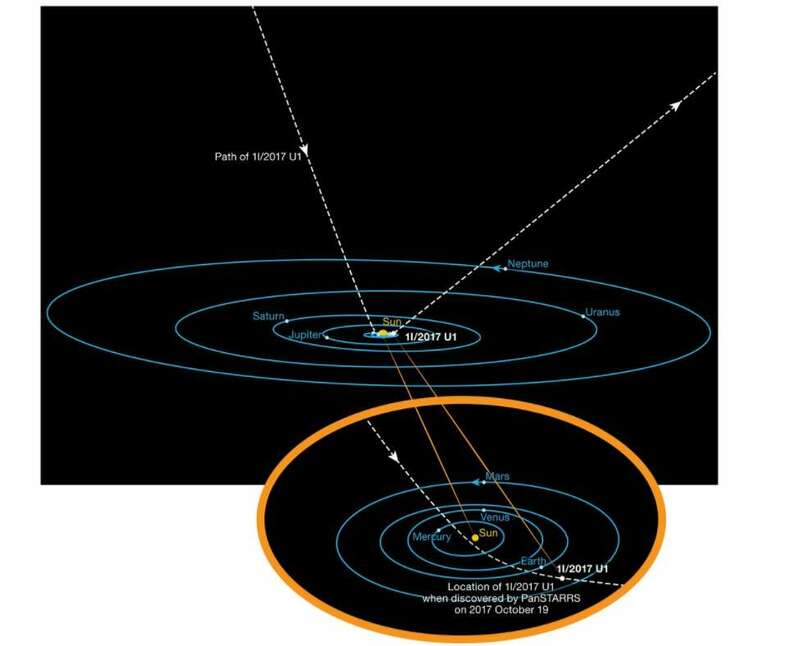 ‘Oumuamua’s path into our Solar System. ESO/K. Meech et al. It also appears to be dense; possibly rocky or has a high metallic content, and lacks any significant water ice. The object had made its journey around the Sun and was heading out of the Solar System, so astronomers raced it in order to get as much data as possible when they first spotted it on October 19, 2017, by the Pan-STARRS 1 telescope in Hawaii. Using a variety of observatories, including the European Southern Observatory’s (ESO) powerful Very Large Telescope (VLT) in Chile, they were able to work out its size, color, shape, and more. A composite image of `Oumuamua, which is the white dot in the middle. ESO/K. Meech et al. Astronomers are continuing to observe the object and hoping to get more data and find out where it came from. There have been some suggestions so far, including a star cluster about 200 light-years away, but no one knows for sure. If it’s like asteroids in our Solar System, it could have been born in a planetary system just like ours. It’s assumed that at least one interstellar object is thought to pass into our Solar System every year. Because of how difficult it is to spot them, that is why this is known to be the first. It is hoped that upcoming telescopes like the Large Synoptic Survey Telescope (LSST) could find more in the future!